New BOOK about recent sustainable projects of Architect LUIS DE GARRIDO. MONSA Editions. 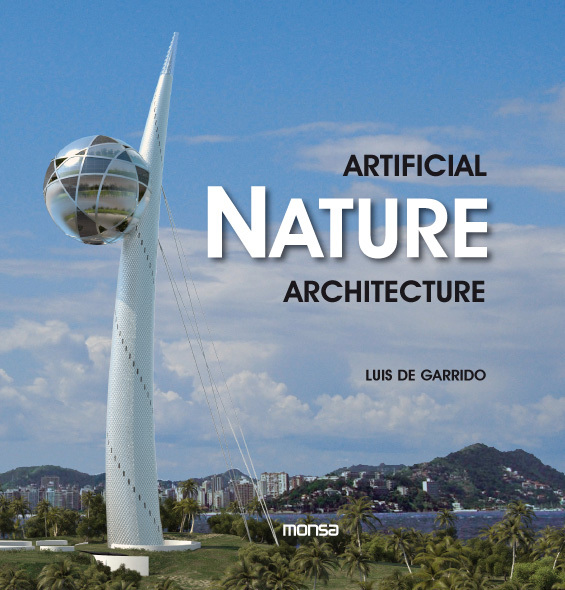 The book’s aim is to analyze some of the most innovative projects of sustainable architecture that Luis De Garrido has made over the past two years (2009-2011), materializing their own concept of “Artificial Nature” (since the construction of Green Box). 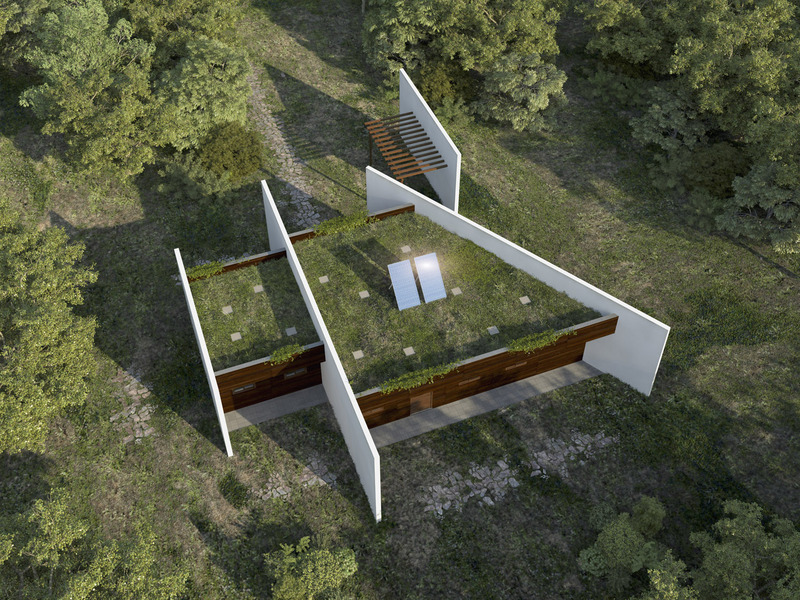 Luis de Garrido has matured in recent years a new innovative concept in architecture, calling it as “Artificial Nature Architecture”: an artificial ecological system that has its own rules, and develops in parallel with the natural ecological system. Immersed in this artificial ecosystem, Luis De Garrido has signed a new architecture paradigm able to use a set of industrial architectural elements, ideal for creating buildings that have an infinite life cycle, y whose components can be recovered, repaired and reused in a continuous and permanent way, without producing waste and emissions. 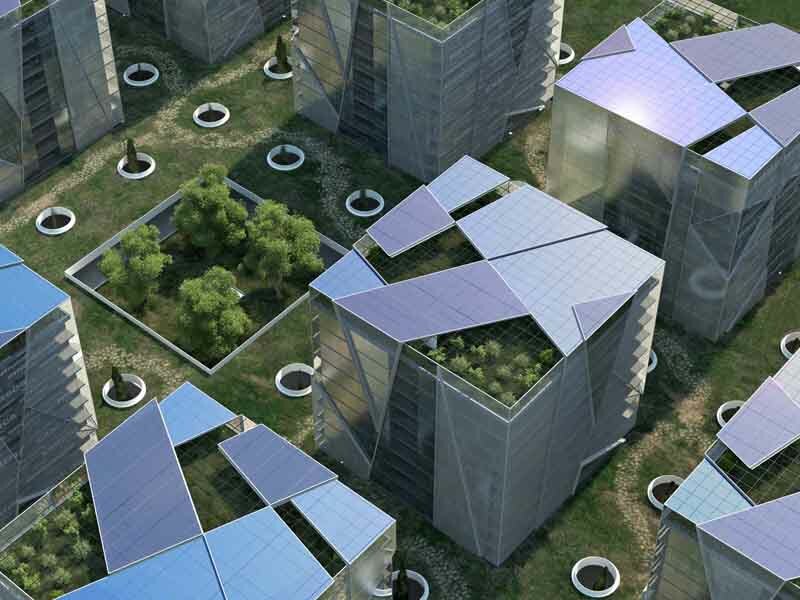 Similarly, these buildings can continuously grow, move, relocate and biodegrade, like living organisms. They have a really very low energy consumption, and the energy consumed has a naturally occurring (solar and geothermal, which is the same energy used by Nature organisms). 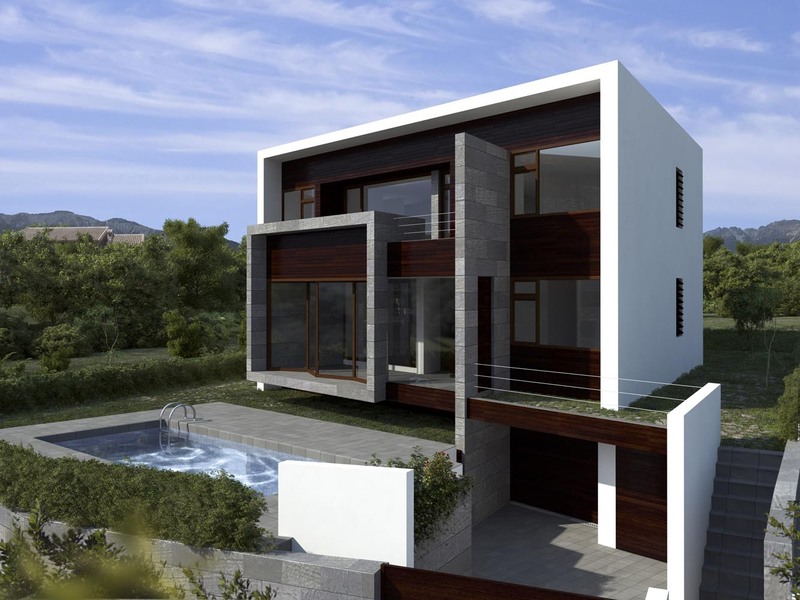 Bioclimatic and sustainable house; self-sufficient in energy and water. 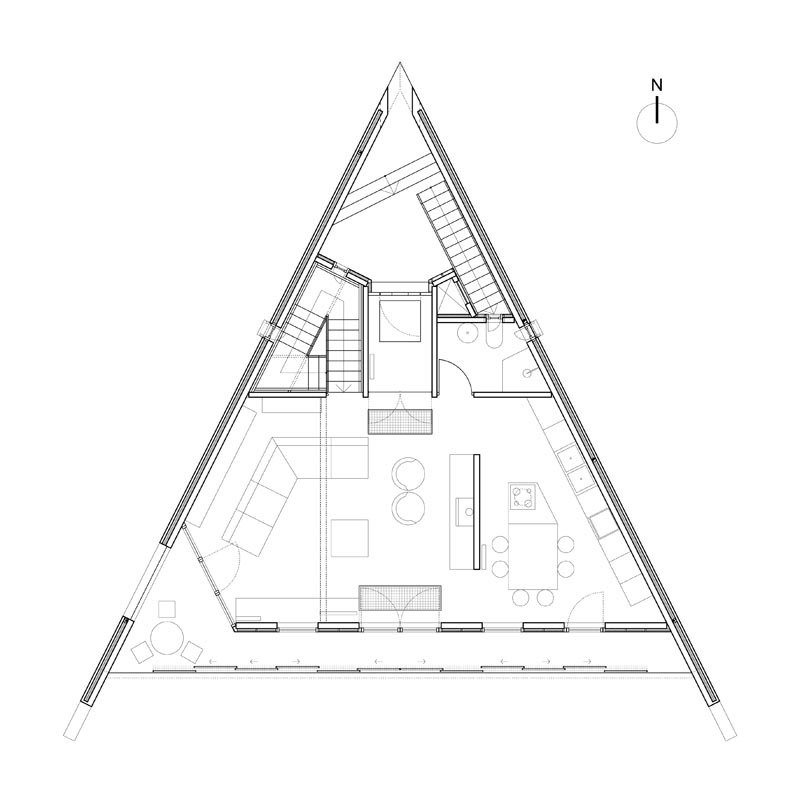 Considered a reference in sustainable architecture. 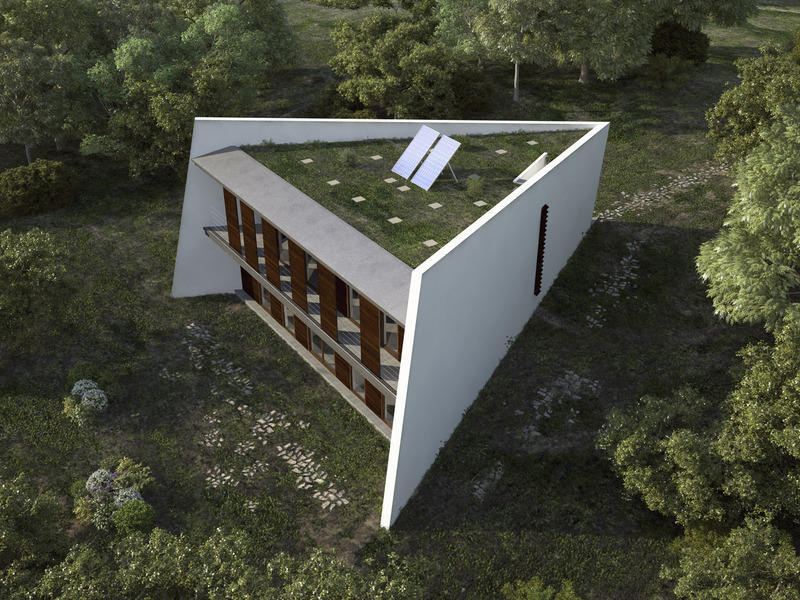 Bioclimatic house partially underground, with zero energy consumption, and high capacity for self-refreshing. 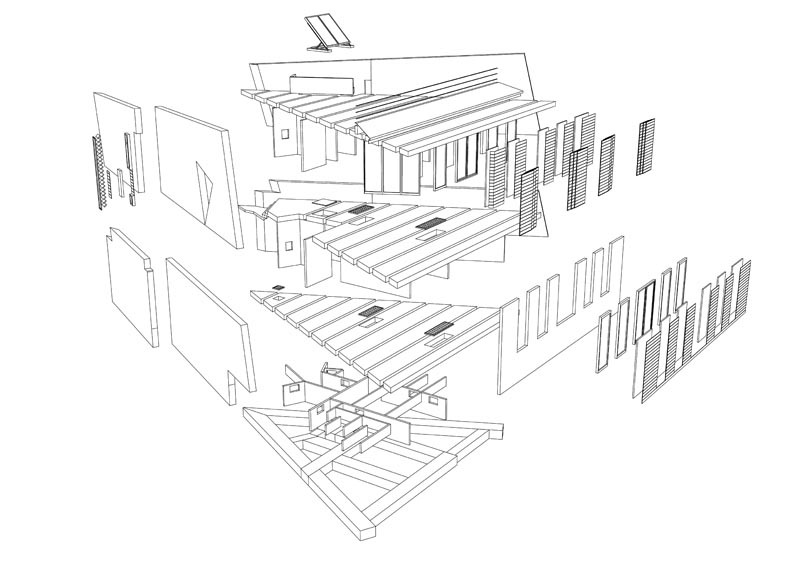 Bioclimatic and sustainable housing, with high capacity for self-heating. Bioclimatic and sustainable low-budget, with high capacity for self-heating. 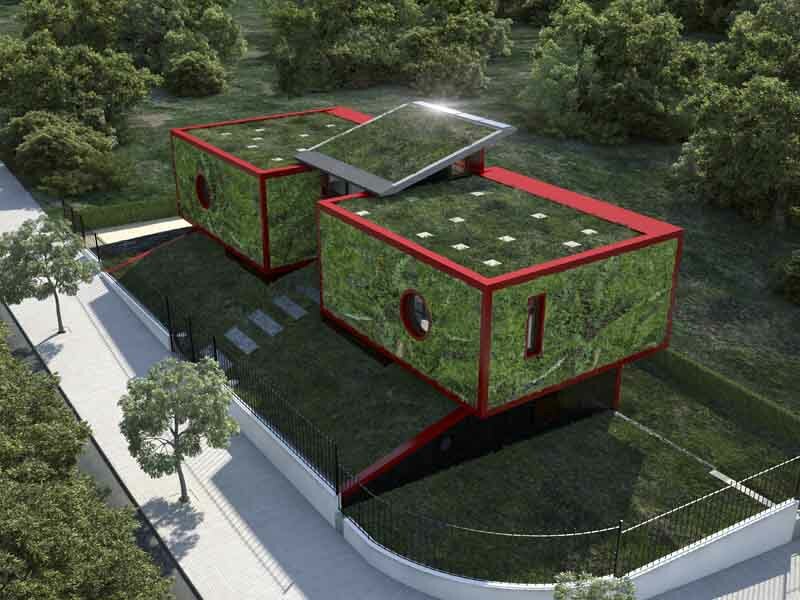 Eco-House with whole vegetable envelope (roofs, facades and entrances). 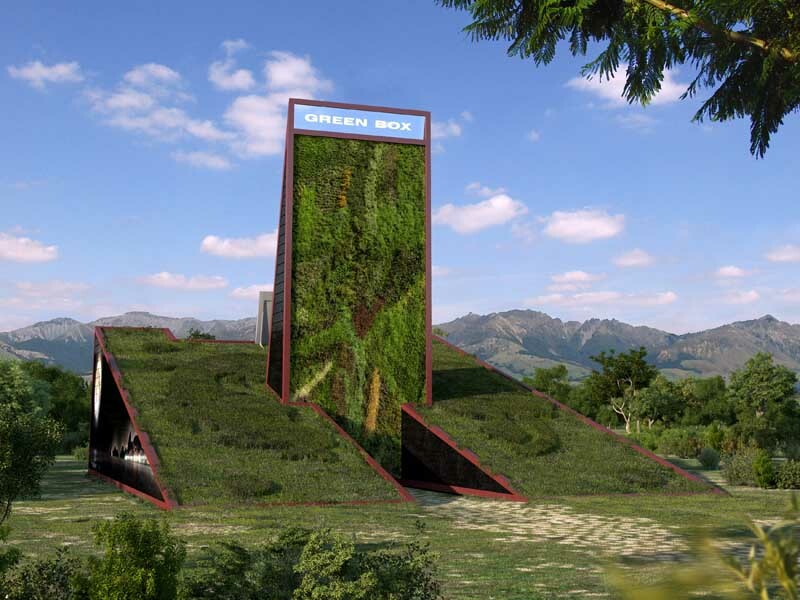 The first global Self-Sufficient Eco-House in energy, water and food. 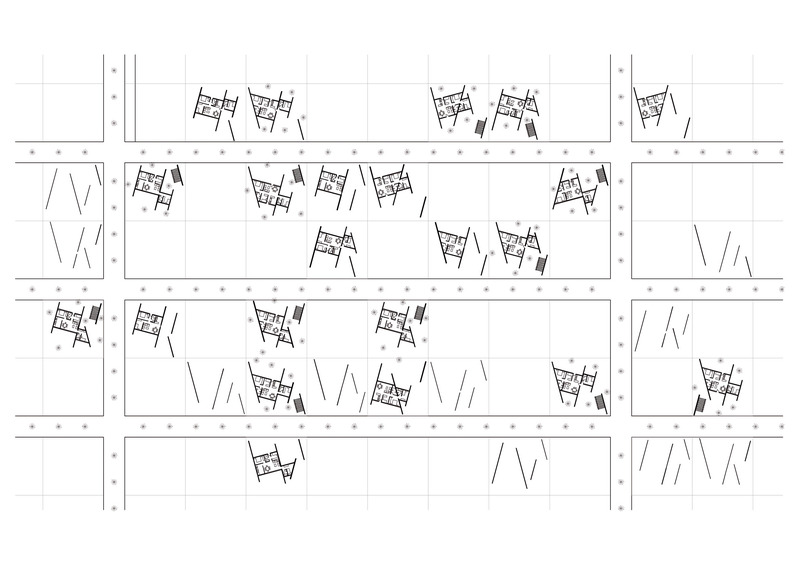 Sustainable, bioclimatic and multimedia expansion of “Moulin Rouge”. 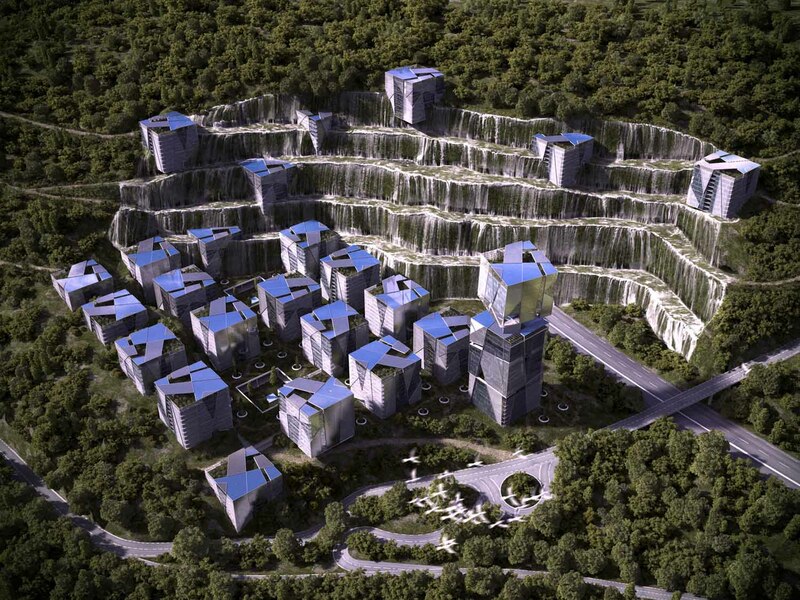 Self Sufficient Eco-City (energy and water), built in an abandoned quarry. 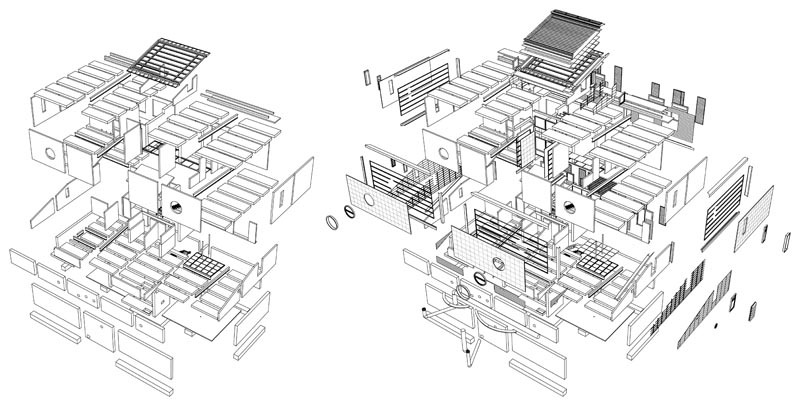 self-sustainable social housing and expandablE Eco-City. Olympic Games 2016. Rio de Janeiro. Brazil. 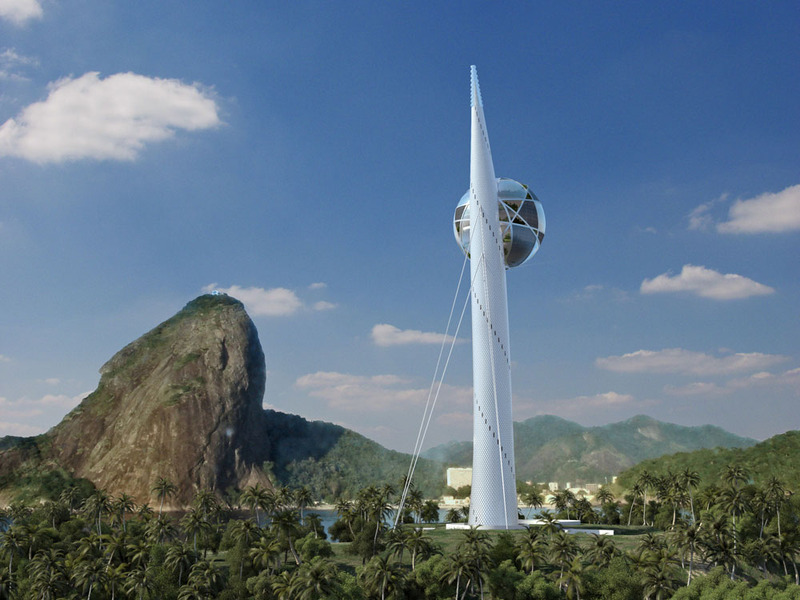 Telecommunication Tower, sustainable, bioclimatic and multimedia. Self-sufficient in energy and water. 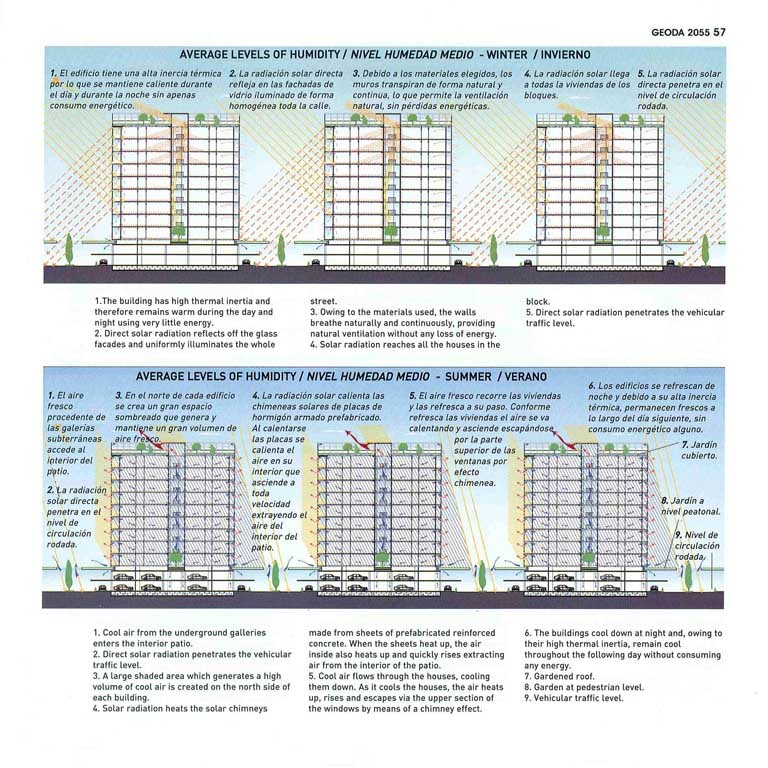 The selection has been performed for the purpose of representing a diverse range of different types of buildings: houses, apartment blocks, housing, urbanization, recycling-city actions, offices, shopping malls, skyscrapers, and even a Telecommunications Tower. The study of each project includes a general statement of its objectives, a sustainable analysis, the study of bioclimatic strategies used and the most outstanding innovations. 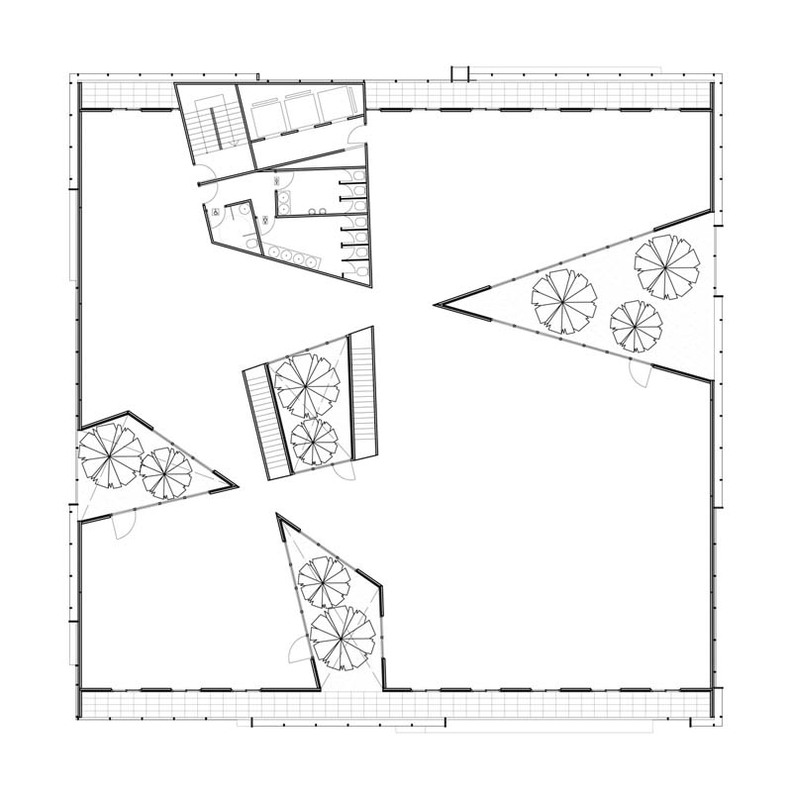 Each project includes: plans, computer graphics, photographs, and sustainable-bioclimatic sketches. Undoubtedly the most important and relevant aspect of the book is the comprehensive bioclimatic analysis of each project. 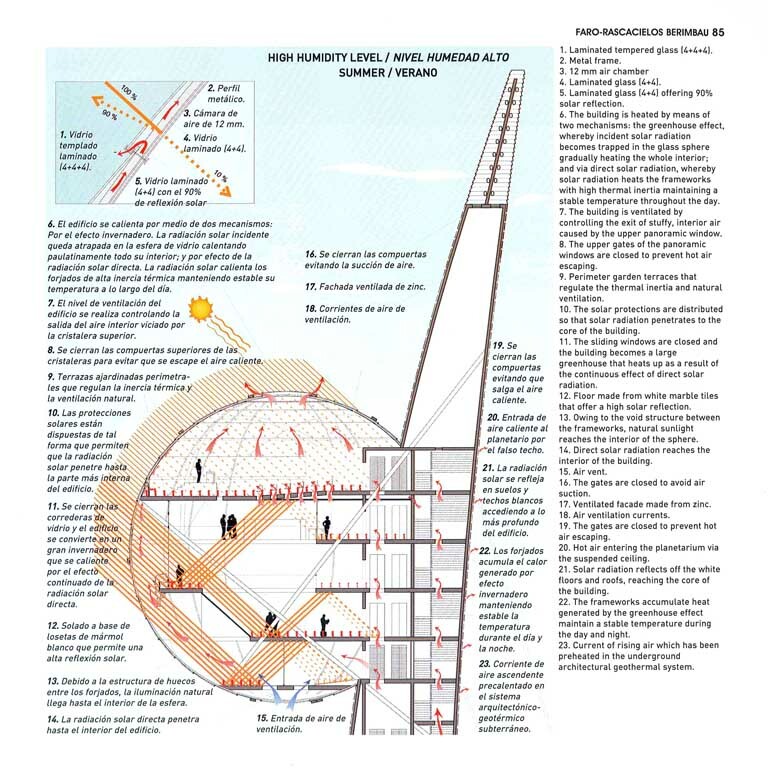 In total, are included about 150 illustrations and 30 bioclimatic sketches, showing the operation of the analyzed projects. 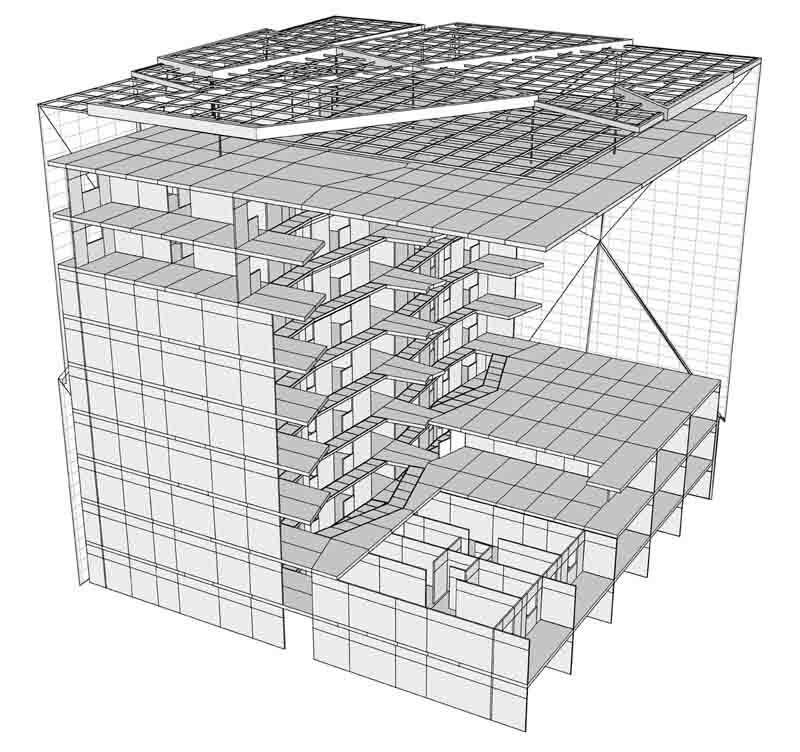 This analysis shows that it is possible to control climatic conditions inside buildings, simply by purely architectural decisions, without technological devices. 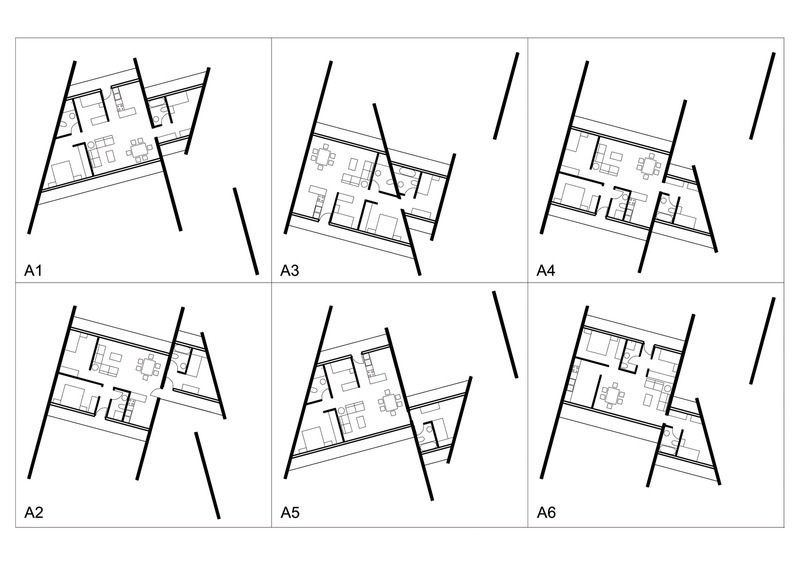 Without doubt, this is one of the most important contributions of Luis de Garrido to contemporary architecture. 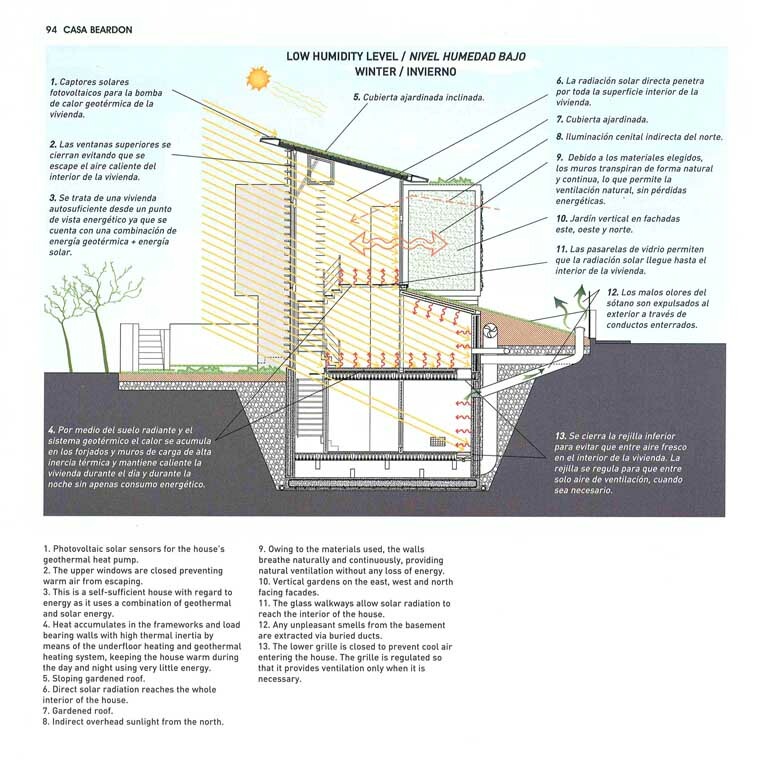 On the other hand, the book shows that you can achieve a truly sustainable architecture, integrated in each different setting, with high bioclimatic level, without creating any emissions, with an infinite life cycle and energy and water self-sufficient and even, in specific cases, food self-sufficient. 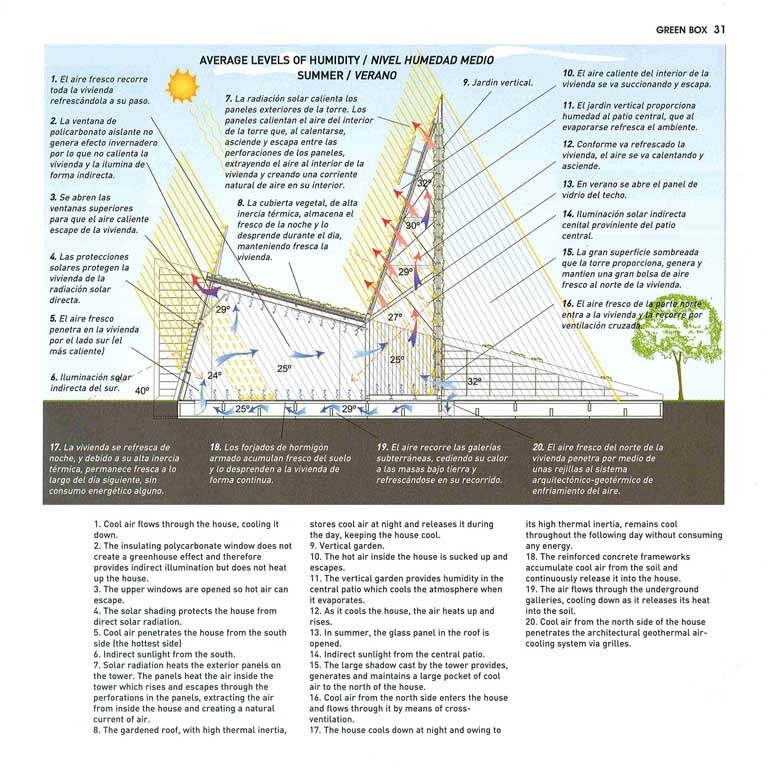 The book has a strong educational and training nature, but at the same time it is a professional and effective tool for all architects and builders, who wish to deal with the sustainable design of any building type. Without doubt, “ARTIFICIAL NATURE ARCHITECTURE” is a book that will inspire future generations to understand the complexities of sustainable architectural design process, and accept the challenge of making a truly integrated architecture in Nature.